Many of us are uncomfortable speaking with people of higher status. We can feel self-conscious, unsure of what to say, and afraid what we’re going to say — or what we’re saying — is the wrong thing. After these conversations, we often replay in our heads what we said, analyze what we shouldn’t have said, or realize what we should have said but didn’t. But imagine what communicating up the hierarchy is like for people from countries and cultures where notions of hierarchy are much deeper and much more ingrained than ours. Where even as a small child you are taught to speak only when spoken to, and that in the presence of authority figures, like your parents, your teachers, or your boss, you should remain quiet, put your head down, do solid work, and hope to be noticed. I teach and work with people from such cultures on a daily basis, and I can tell you that it is extremely challenging to learn how to function outside your cultural comfort zone when interacting with authority figures in different cultures, especially in cultures where the rules are much more lax and you are actually expected to voice your opinions, be assertive, and even establish relationships with these taboo figures. I call this the liability of deference: the fact that people from deferential and polite cultures often struggle quite significantly trying to make their way in less hierarchical cultures. This problem can be debilitating to the individuals and their careers, and it also hampers their organizations’ capacity to leverage the human capital that they have worked so hard to select, train, and cultivate. Finally, this liability of deference also impacts people at work. They can struggle to participate in meetings, can avoid calling senior partners by first names (and, as a result, can appear quiet or standoffish), and can struggle to cultivate rapport and relationships with senior colleagues, which is critical for their advancement. So what can organizations and particularly leaders of organizations do to lessen the brunt of this liability of deference for their employees from other cultures? The first critical thing is to educate themselves and their employees about these differences, and to develop a solid level of empathy for the challenges that their employees may face — especially those from hierarchically-oriented cultures — in adapting to the American workplace. Sensitizing managers to these differences is critical for them to be able to make accurate attributions for their employees’ behavior. For example, if an employee doesn’t speak up in a meeting, it may not be because the employee doesn’t have anything to say. Or if an employee offers to take on a new assignment, but without the unbridled, “go-getter” type of enthusiasm the manager is used to from his American employees, this may just be a difference in communication style instead of a difference in motivation to do the work. On the employee side, companies should develop robust training and mentoring programs to help their employees take the leap and learn to act outside their cultural comfort zone. Such programs should of course highlight the cultural differences that employees face in adapting their behavior to a new cultural environment. 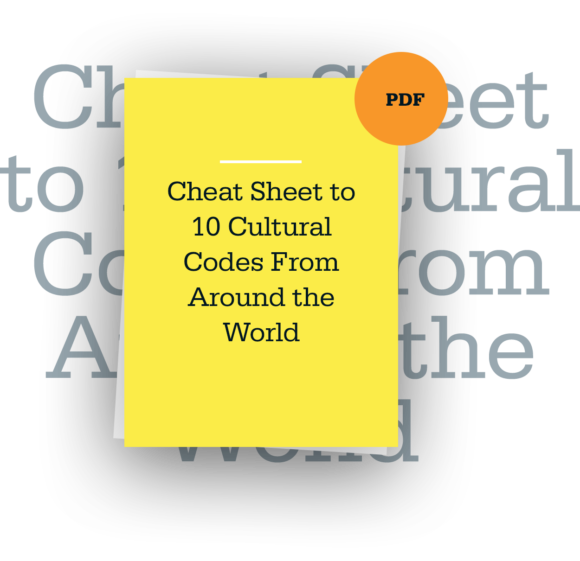 But to be successful, they must go beyond that, helping employees actually take this knowledge of cultural differences and then go the next step, learning to translate it into effective behavior in a new cultural setting. Employees need to have opportunities to practice and hone their new skills, make mistakes in a forgiving environment as they work on customizing a style for interacting with authority figures that is effective and feels authentic, and then, having cultivated a new style, have opportunities to practice that new approach in realistic and challenging situations, ideally with feedback from a mentor or cultural coach. Intellectual understanding of differences and the capacity to develop global dexterity and actually shift their behavior are two very different challenges and skill sets. Training and education should follow accordingly. For organizations to thrive in a global economy, everyone needs to pitch in. But when pitching in means speaking out, don’t forget the liability of deference. Every now and then I visit an old friend of mine at his Fortune 100 corporate headquarters – and every time I do, I’m struck by the incredible amount of people he knows and is seemingly friends with. What often sets successful people apart is their willingness to do things most of us fear.